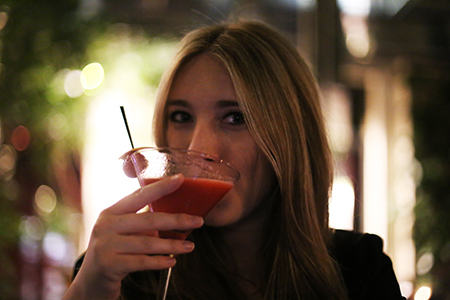 Ciao, darling! 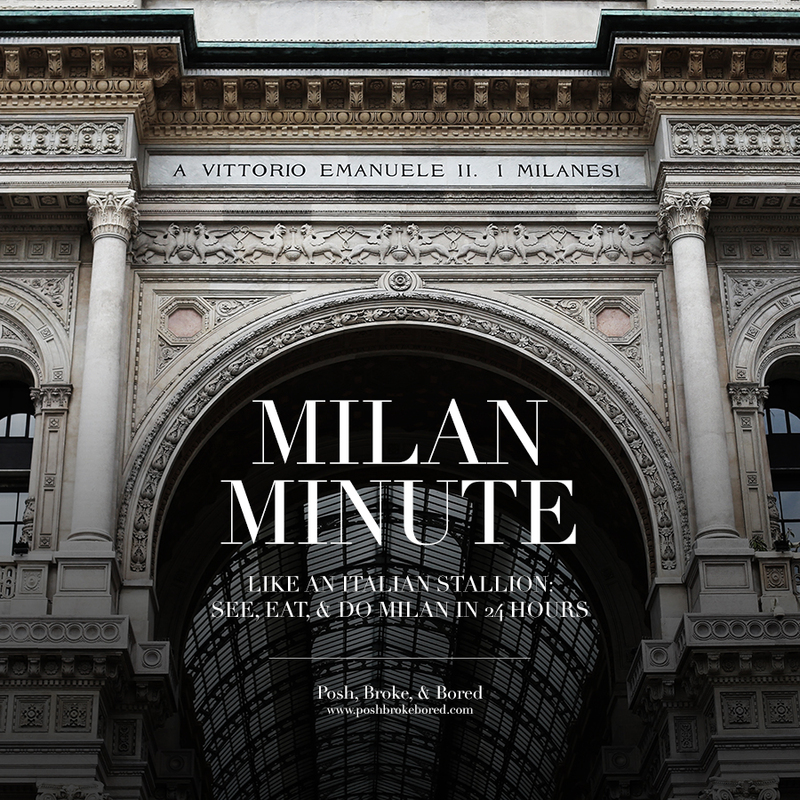 Have you got a minute, or rather 1400 minutes to spare in Milan? Si? Molto bene! With the summer sun shining upon us, 'tis the season for European city breaks: be it a Baltic tour of Riga-Helsinki-Tallinn or London-Paris-Rome or Amsterdam-Berlin-Lisbon; pick n' mix, make it your own. 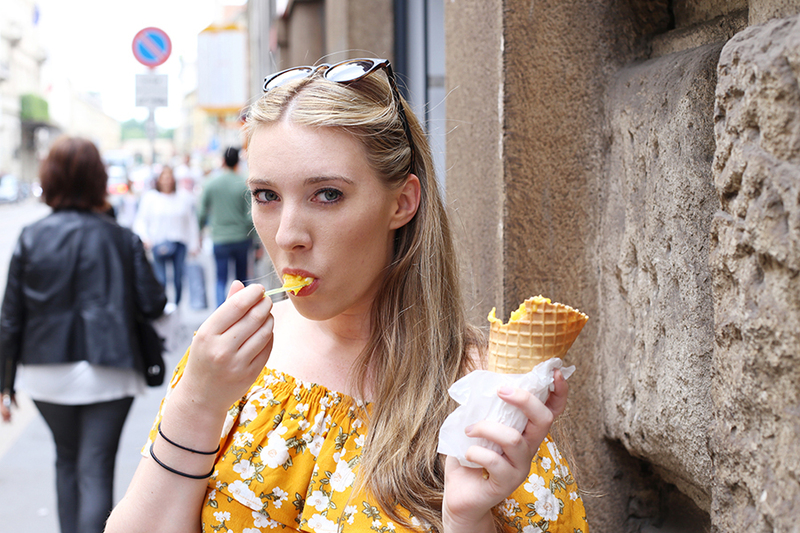 Take advantage of the continent's proximity (and homogenous currency) yet incredibly diverse culture by embarking on what I call the 'Euro Express' - the perfect 'short but sweet' holidays for the eager beaver on a time-budget. 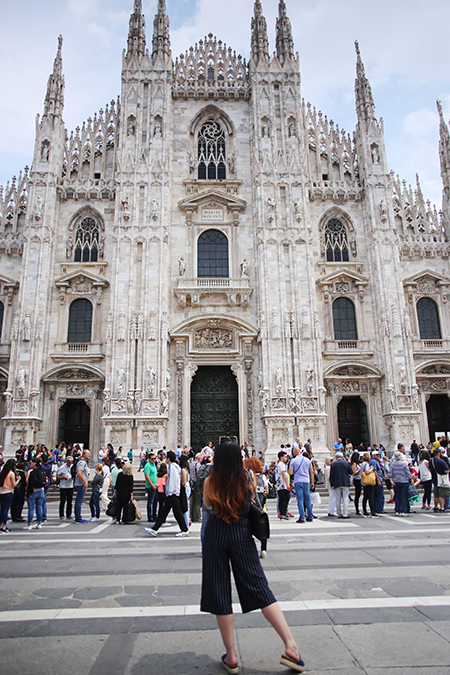 I've written Brussels Express and Edinburgh Express city guides, and now it's time for How To Do Milan in 24 Hours. Buongiorno, baby! 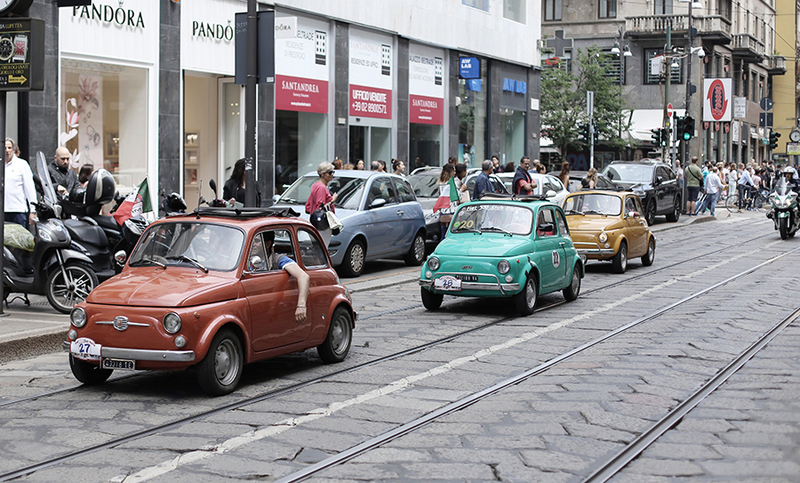 No doubt you're a bit bleary-eyed from waking up at the crack of dawn to take the early flight into Milan Linate (Easyjet flies from London Gatwick several times a day, from £30) but you've made the right choice: Linate airport is closer to the city centre - a mere 30 mintues away by taxi. Time is money. It's a tad early to check in at your hotel, so drop your bags off at Palazzo Parigi and freshen up at the spa on the third floor. 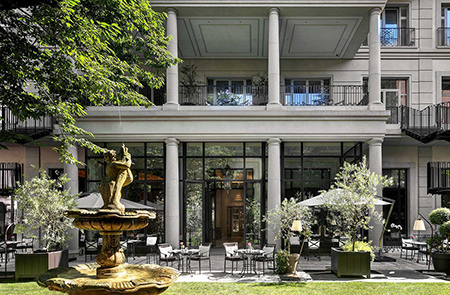 It's a shame your trip is too short to stay in and enjoy this elegant 5-star hotel, but you're perfectly placed to enjoy Milan - Palazzo Parigi is in the heart of the fashion district and only a 15 minute walk from the Duomo. 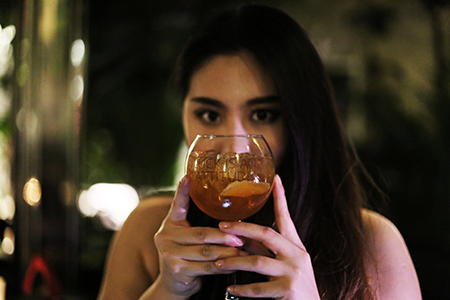 More than just the bright and cozy rooms, majestic interiors, luxurious terrace, and decadent Grand Spa, convenience and location is the real luxury here. 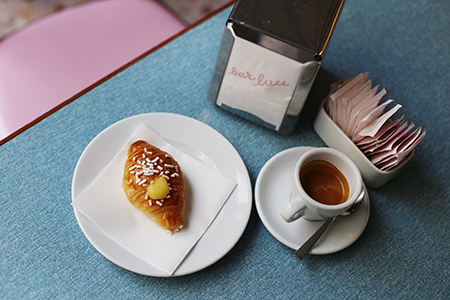 Immerse yourself in the Italian way of life (food) and do it in style - tuck into pasta and prosecco at fashion industry favourite Il Salumaio di Montenapoleone. 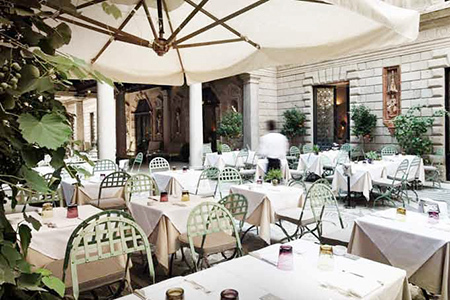 The setting couldn't be more Milanese: an ivy-covered courtyard surrounded by streets paved with designer brands (Gucci, Pucci, and Valentino, oh my! 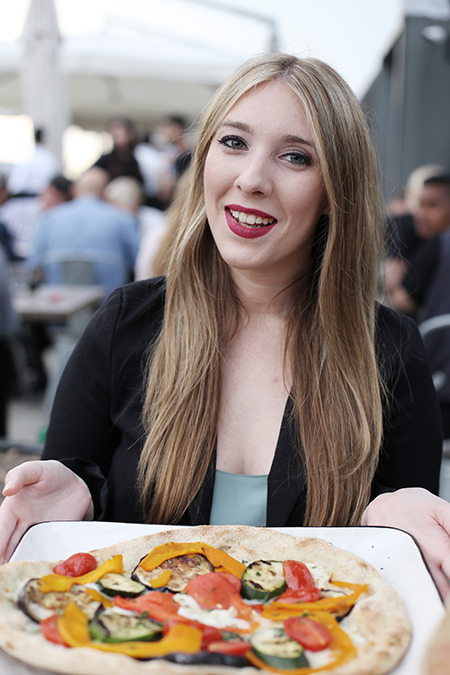 ), models and mortals mingling over to-die-for burrata and basil...darling, you've arrived. 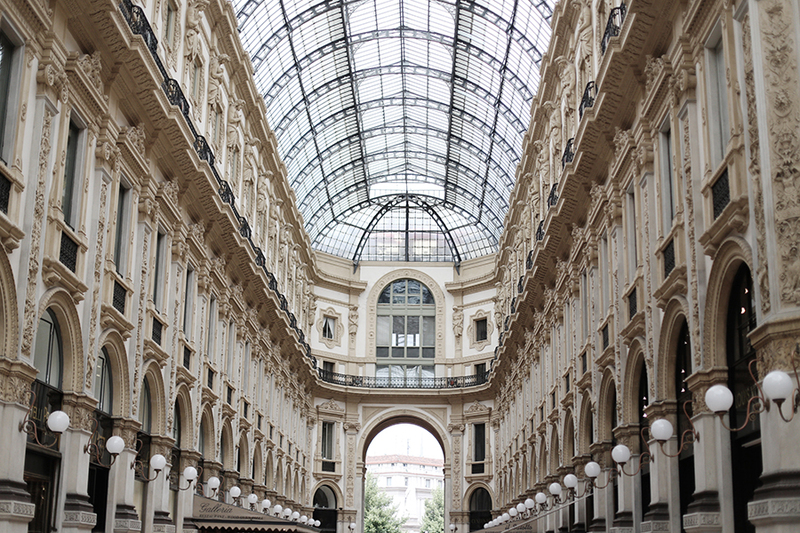 A hop, skip, and a jump away is the iconic Galleria Vittorio Emanuele II. The four-story double arcade, designed in the late 19th century is one of the world's oldest shopping malls and named after Vittorio Emanuele II, the first king of the Kingdom of Italy. Nicknamed 'il salotto di Milano' - Milan's drawing room - for its significance as a central Milanese meeting and dining place, the Galleria is famous for its luxury retailers, some of the oldest shops and restaurants in Milan, and hilariously, preventing McDonald's from renewing its 20-year tenancy in 2012 - instead replacing the fast-food giant with the gallery's second Prada store. Priorities, people. 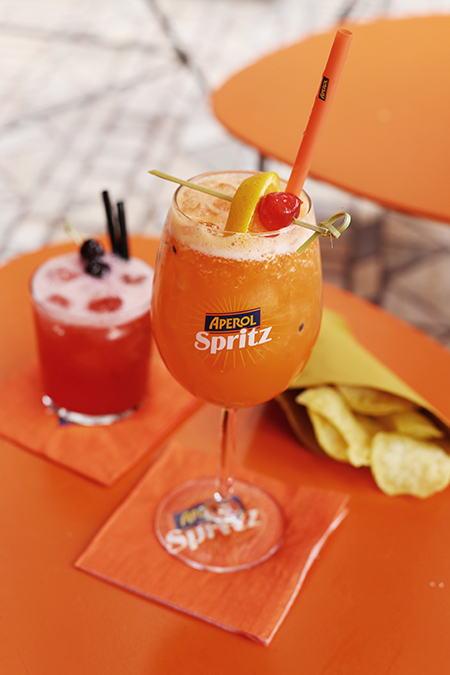 Terrazza Aperol's signature bag of chips and their tapas-inspired gourmet snacks, and channel your inner Dustin Hoffman and order the Aperol Spritz: 3 parts Prosecco, 2 parts Aperol, and 1 splash of seltz or soda. Walk it off, you lush. I'm not an advocate of drunk-shopping (actually, yes I am) but when in Milan, shop as the Milanese do. On your way back to check in at the hotel, drop into Valentino at Via Monte Napoleone and pick up some treats for your feet. At about €730 a pop, the Rockstud sandals are about £100 cheaper than in the UK, so really, you're not only contributing to the local economy - you're also saving money. Win-win. 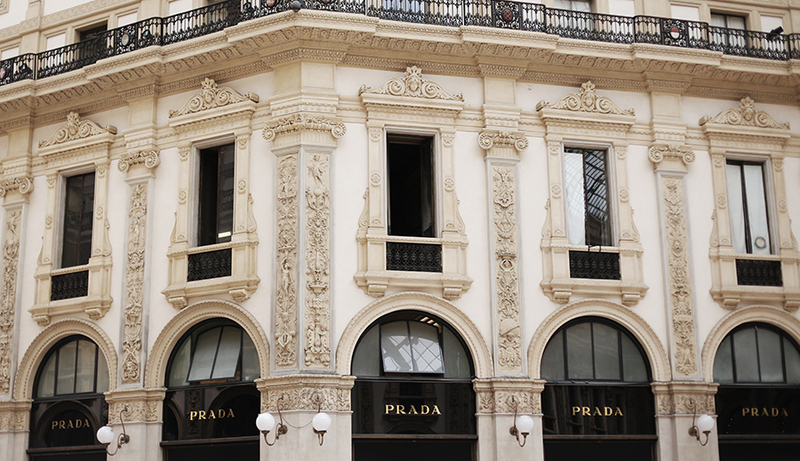 You've had your fill of food and fashion, now it's time for some art and culture. Disregard Sforza Castle and The Last Supper - both relics will be there for all eternity and you've only got a brief time in Milan. 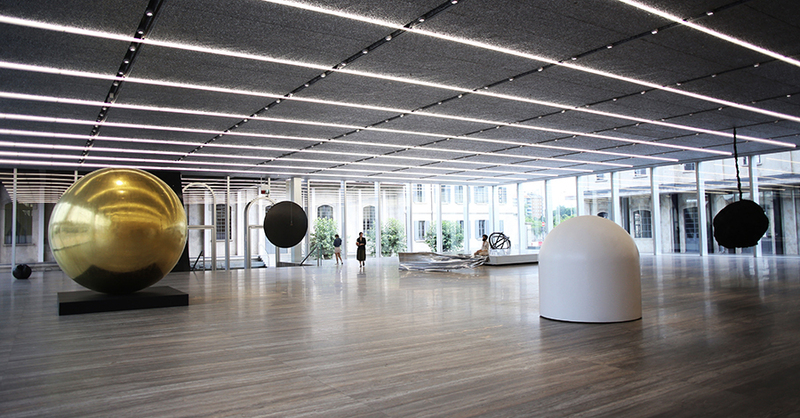 This trip is all about the contemporary, and Fondazione Prada is the destination for contemporary architecture, art, and cinema. Take a taxi to Largo Isarco - an industrial zone south of the city centre - where you'll find a vast complex of ten buildings housing, among other things, a cinema camouflaged by mirrors and a 24-carat gold leaf 'Haunted House' hosting a permanent exhibition by Robert Gober and Louise Borgeois. 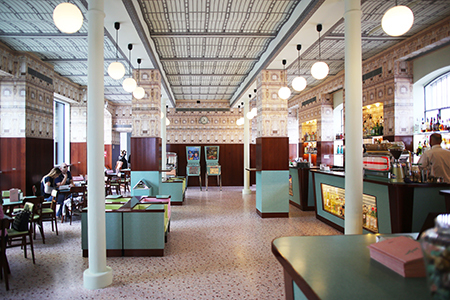 Afterward, pop into the cafe designed by Wes Anderson, Bar Luce, and lose yourself in a reverie of pastels and movie references. Well, haven't you been a busy bee? You must be absolutely ravenous and ready to put your feet up. Get thee to Obicà. 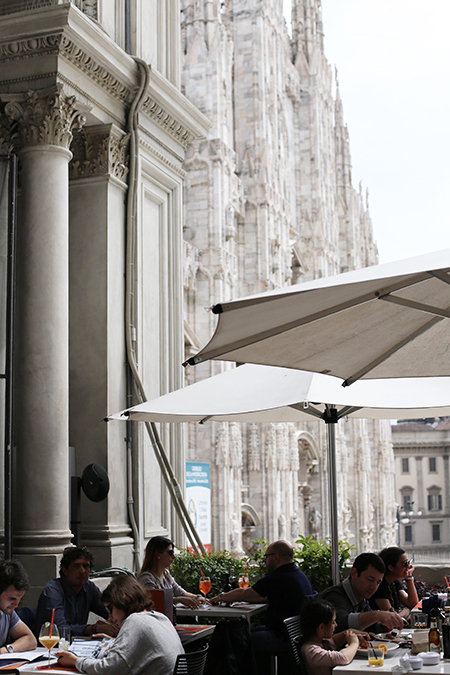 The Duomo branch of Obicà Mozzarella Bar is best described as 'destination dining' where you eat on the outdoor terrace with an unbeatable view of the Duomo. For a restaurant right in the heart of tourist central, the food is surprisingly delicious and good value, with a mixed clientele of locals and internationals. 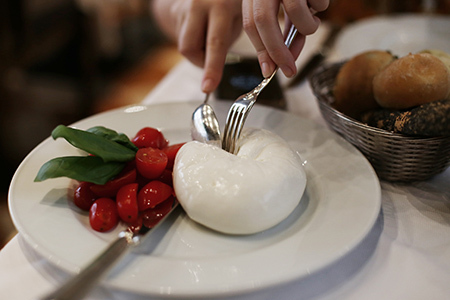 The mozzarella and burrata selections are fantastic, as is the wine list. 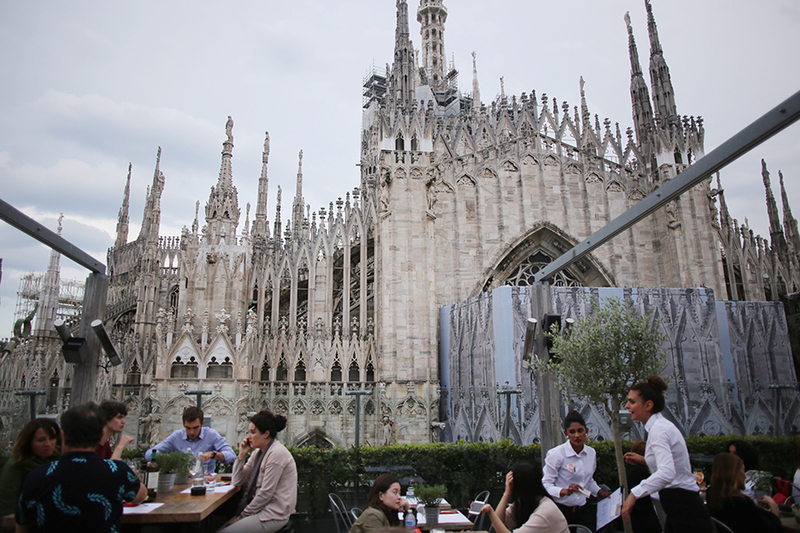 But really, you're here for the view - watch the sun set over the Milanese skyline while you dine. TRAVEL TIP It can get a tad chilly on the terrace (even in summer) so bring a blazer to keep warm, look sharp and conceal your 'carb baby'. Take a post-dinner stroll downstairs and pause to appreciate how different the cathedral looks by night. 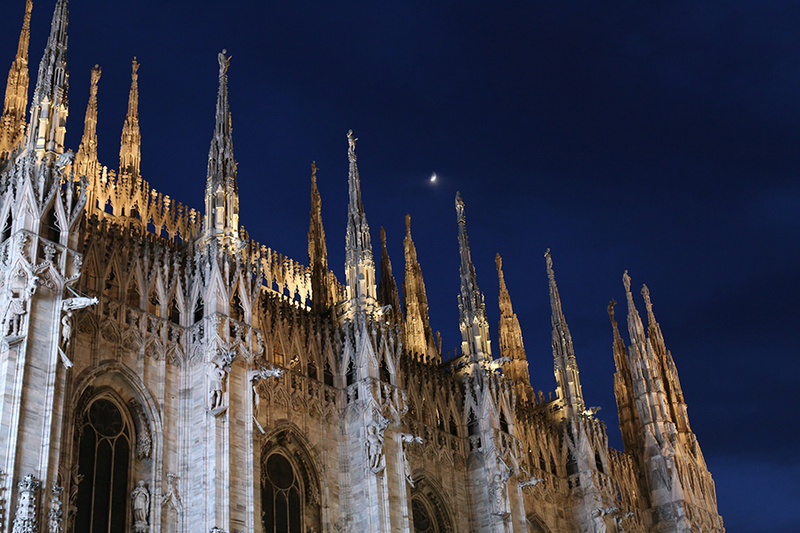 The Duomo is lit up, making this gothic glory look even more dramatic and imposing. 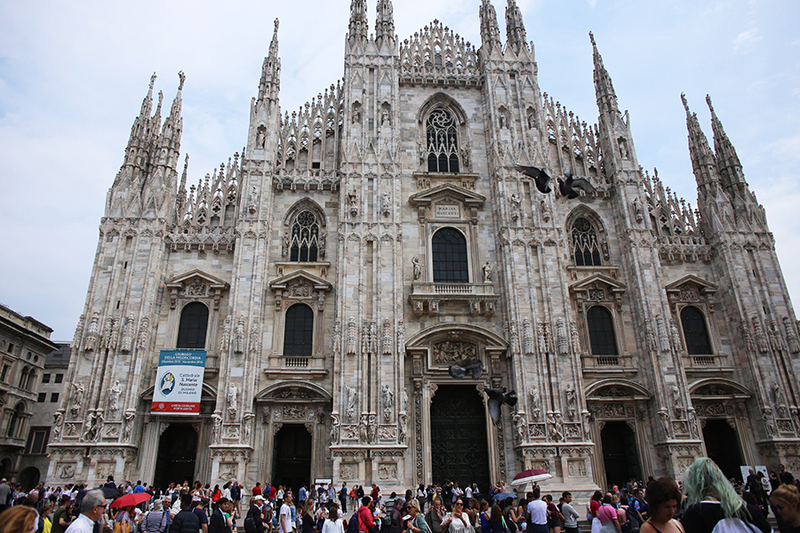 Should you have time in the morning and wish to see more of the cathedral that is so central to Milanese life, there are lots of cultural activities at the Duomo. 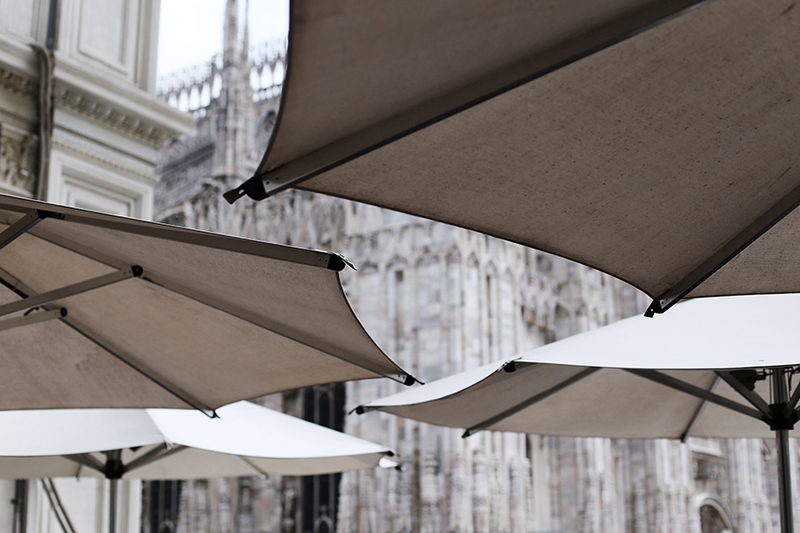 This summer's line up includes music, film, and photography - from a documentary showing of L’infinita Fabbrica del Duomo to an exhibition of historic photographs offering glimpses into the city from the 1900s to modern day Milan. TRAVEL TIP Watch out for the 'stringmen' who will try to drape a woven bracelet (really just a bit of string) on your wrist then suddenly a hefty payment for the merchandise. If accosted, just brush the string off your wrist and march steadily on. Did you think you were going to go to bed? Not a chance. 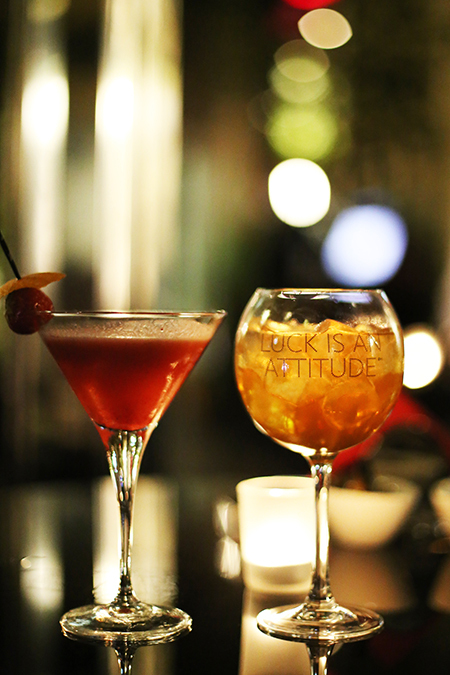 It's time to hit up Bar Martini by Dolce & Gabbana for a cocktail (or three). The Dolce & Gabbana boutique on 'fashion street' Corso Venezia leads to a glossy-black space with an accent of colour from the blood-red dragon rising from the tiles of the floor. 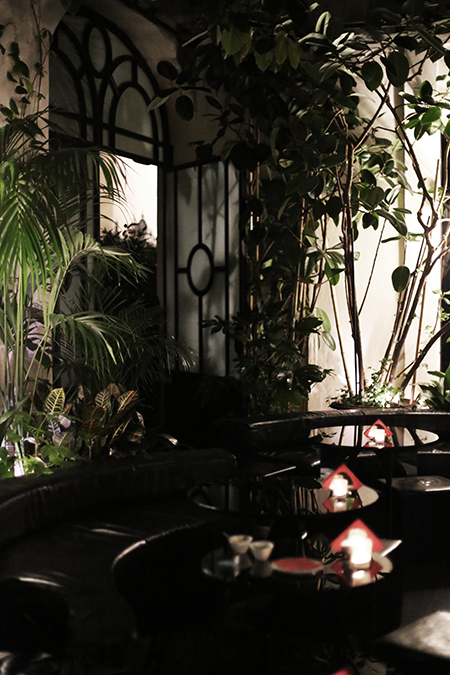 Through this impossibly glamorous entrance is an intimate conservatory-style lounge - Bar Martini - the perfect pregame spot for Martini cocktails before a stylish night out in the fashion capital of Italy. 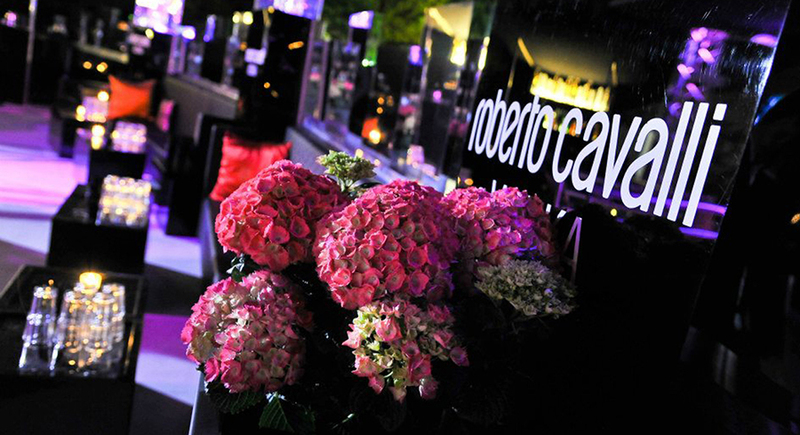 An Armani Hotel, a Dolce & Gabbana bar, and now a nightclub by Roberto Cavalli...it seems like every Italian fashion label wants in on the lifestyle pie. 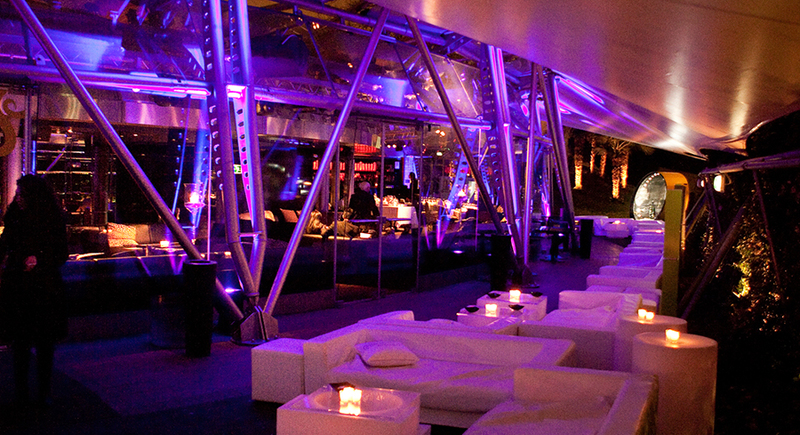 And what a pie the Cavalli Club should be, at least in theory. 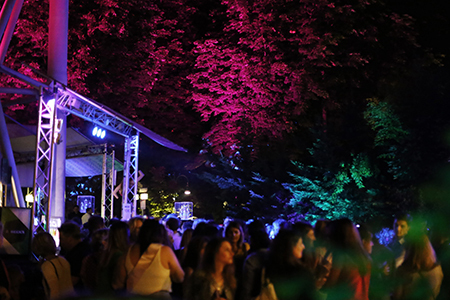 It's got all the right ingredients: a gourmet restaurant and nightclub with a terrace and an observation tower located in Sempione Park, central Milan. But add a dash of Eurotrash plus that oh-so-familiar formula of pink-purple lighting and generic Top 40 chart hits, and what you get is your typical sweat fest of men trying their luck when all you want to do is dance with your girl + more than a few not-especially-stylish randoms (a lady was wearing a velour tracksuit for goodness sake. Hello, Paris Hilton circa 2002 called, she wants her uniform back). The only upside (or downside, depending on how you feel) about bumping uglies with the lot is that you can smoke while dancing which is essentially time travelling to ten years ago + a drink ticket for the entrance fee of €30. 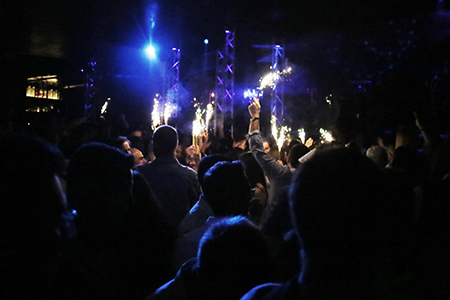 That said, the whole experience was a vaguely amusing novelty, so if you fancy it you can find Cavalli Club at Via Luigi Camoens. Now you can call it a day. 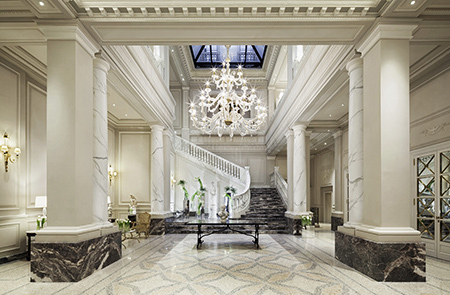 Hail a cab from the club back to Palazzo Parigi and sink into your fluffy marshmallow of a hotel bed. If you've booked an afternoon flight back you might even have time for a pampering session at the Grand Spa, but if its an early flight never fear, sleep is for the weak. 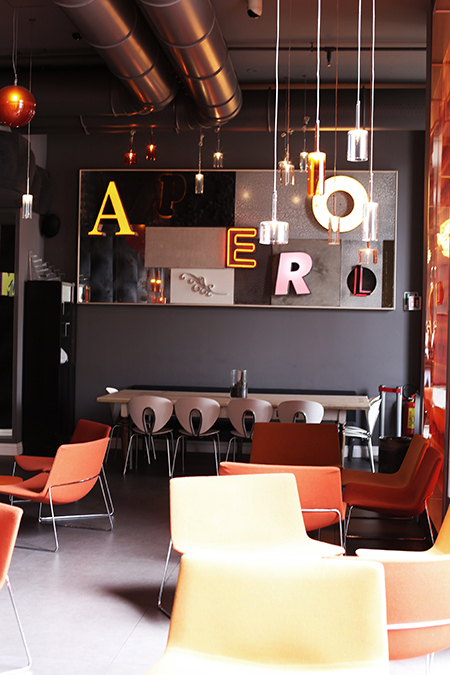 Arrivederci, Milano!